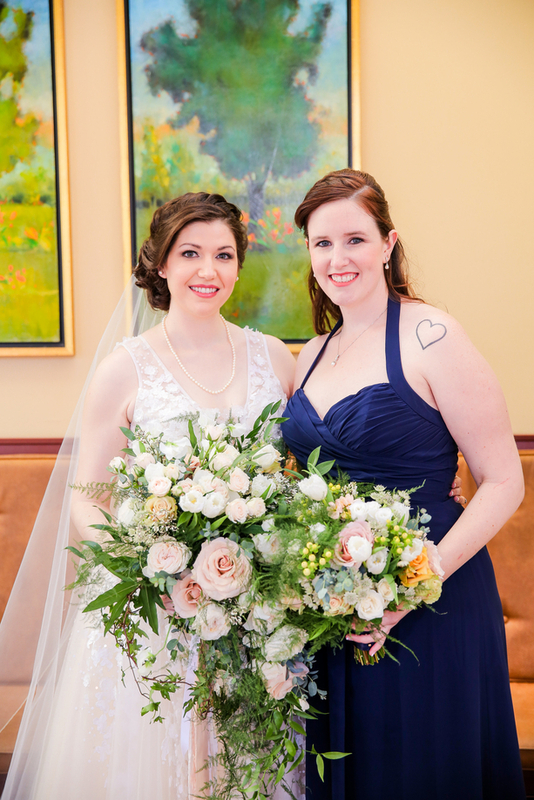 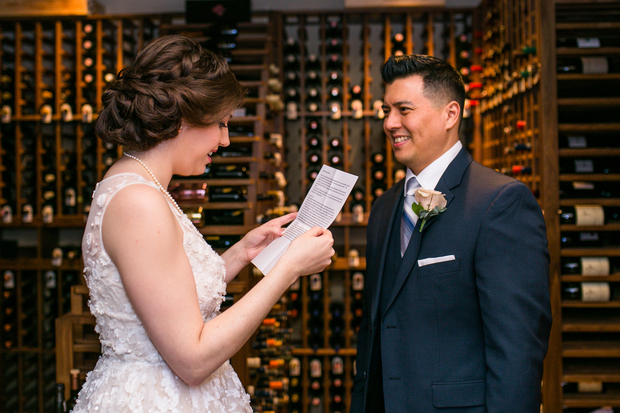 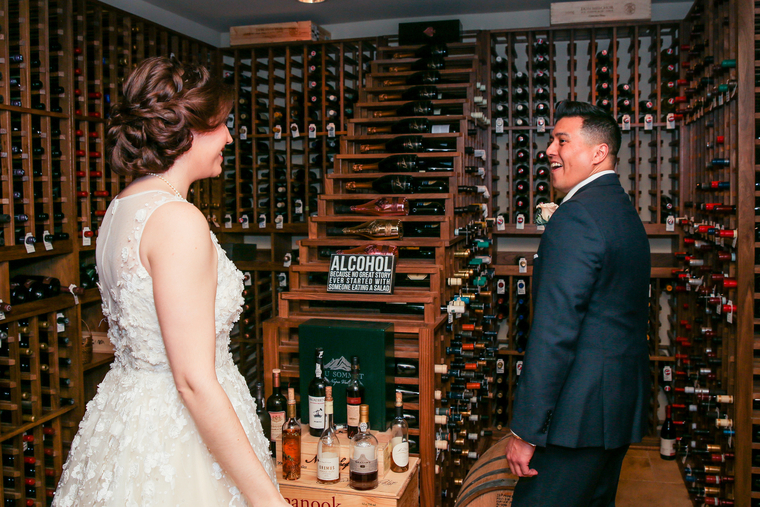 Marisa and Jeff had their wedding at the stunning Trummer’s on Main restaurant in Clifton, VA. We loved their location choice for their first look - the cozy and intimate wine cellar! 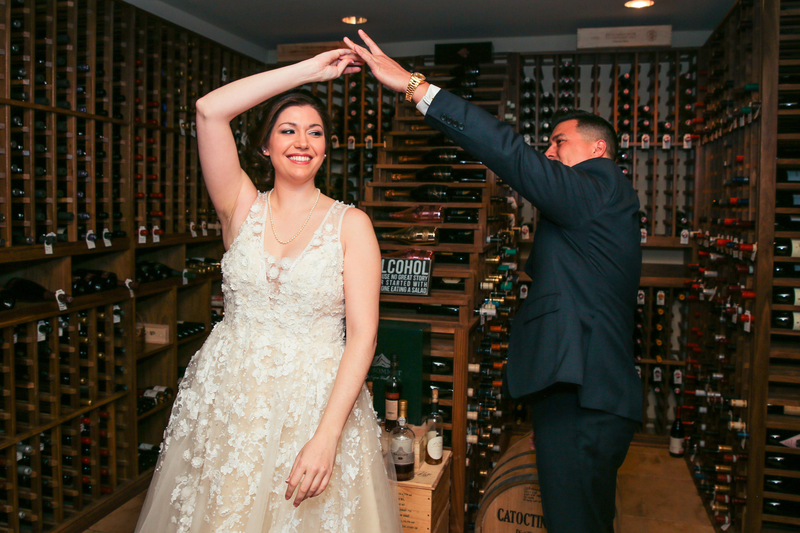 Looking back at the photos, it’s so clear to see that they adore each other - @raizavegaphotography did an amazing job capturing that sweet and beautiful moment! 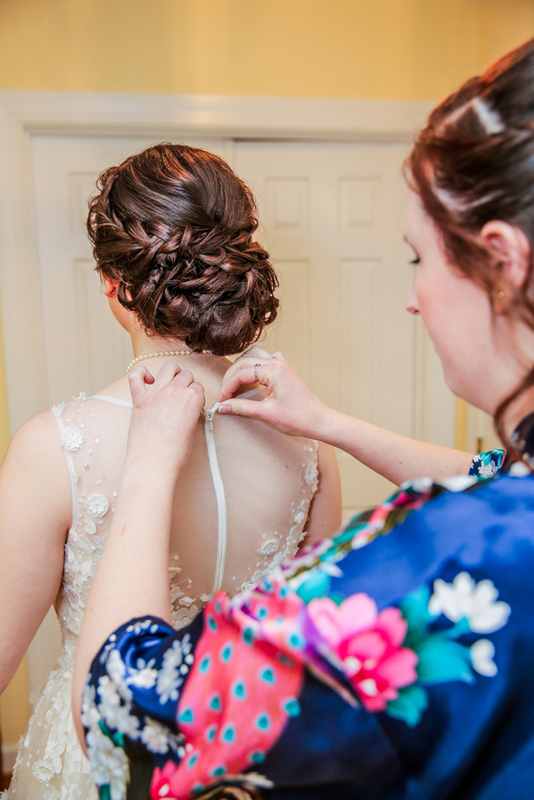 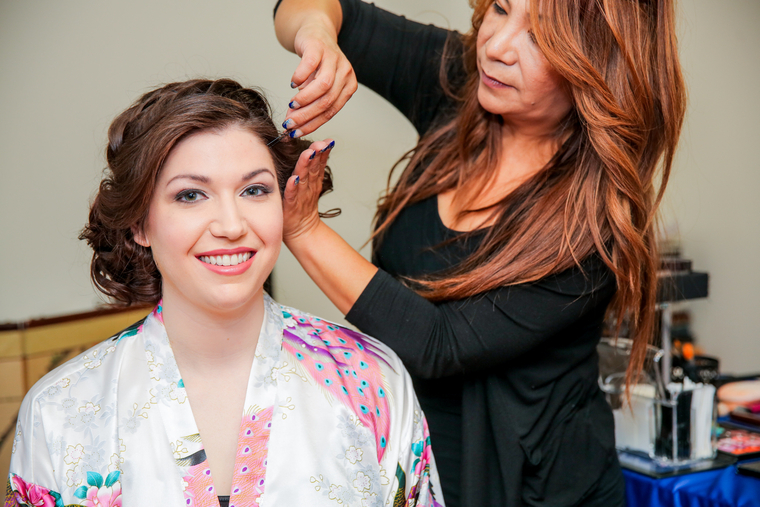 Marisa’s hairstyle was soft and flowy, but with texture, volume, and a timeless feel. 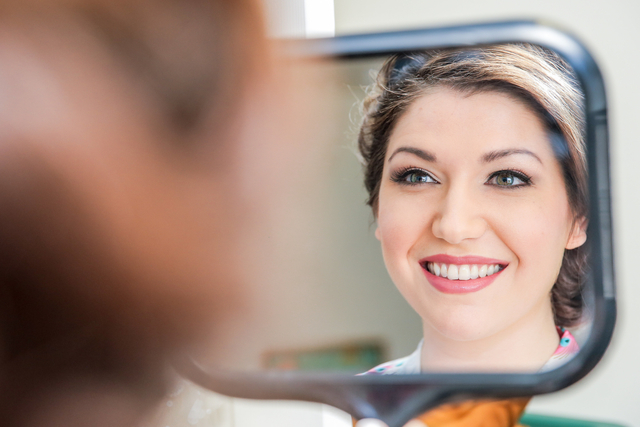 Her green eyes just popped and her skin was radiant and glowing. 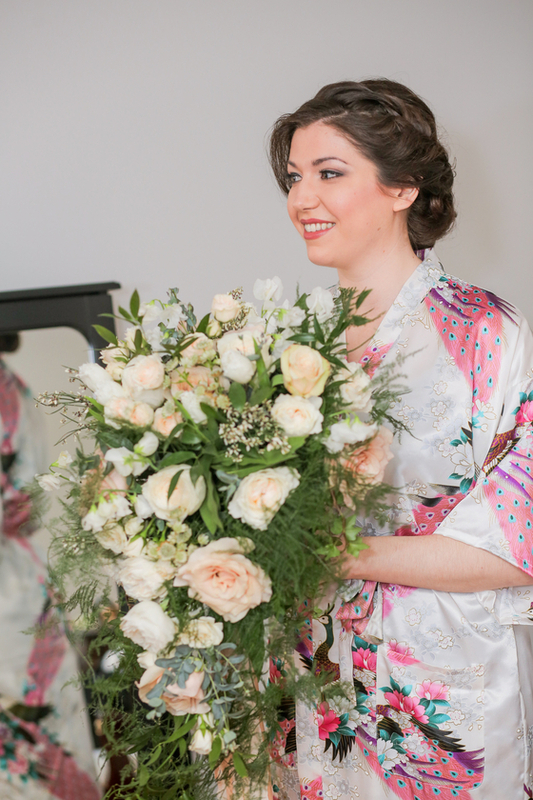 We can’t get over those flowers!! 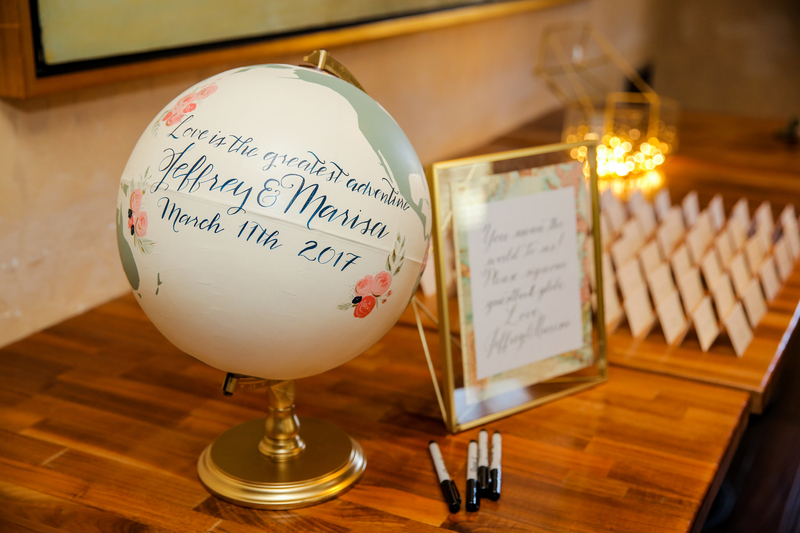 We love that they incorporated their color scheme into the small details like the ribbon wands for their guests to wave and wish them well on their journey into married life! 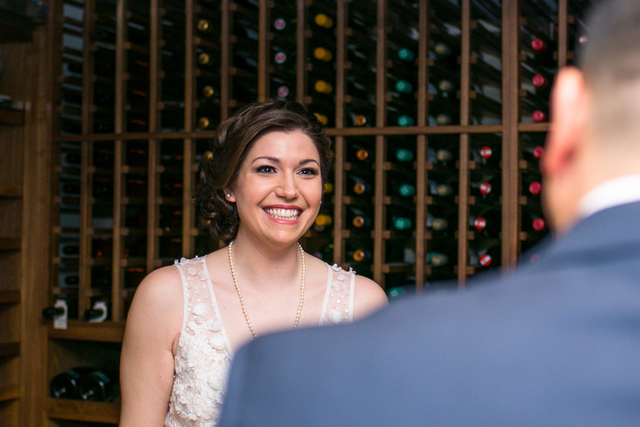 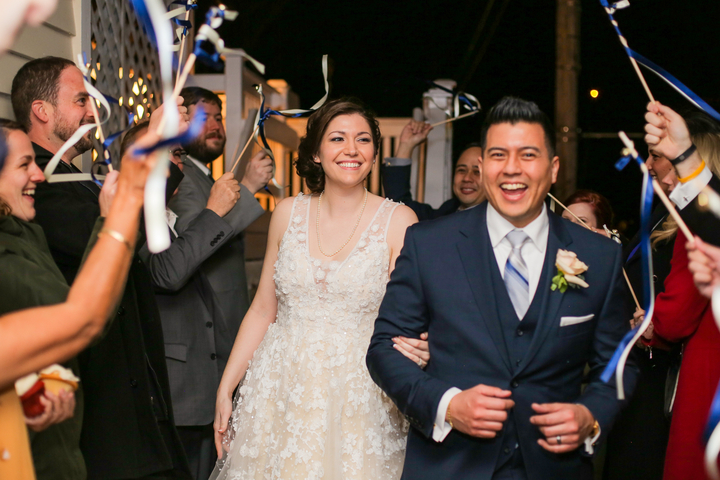 Marisa and Jeff - we hope you smile together every day as much as you did on your wedding day!